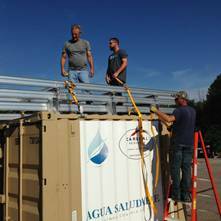 PITTSBURGH, PA--(Marketwired - October 01, 2015) - Cardinal Resources Inc. (OTC PINK: CDNL), a global producer of patented, solar powered, community-scale drinking water systems, today announced that the first of a series of systems for communities in Panama is on the way. This CRB-10 will be installed near Soloy as a demonstration of the capabilities of the patented Red Bird System. 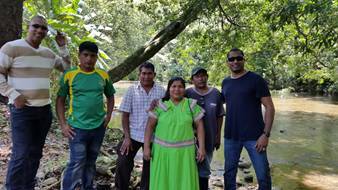 Agua Saludable Group, Inc., our Latin American partner has worked closely with government officials and officials in Chiriuqui Province to establish the requirements of the demonstration as well as the final location. Beyond this system, discussions centered on terms and sites for a prospective initial order of five Red Bird Systems that is intended to lead to a rolling order of five water systems per month to be rolled out nationwide over the next 12 to 18 months. While the first system to be installed is a CRB-10, the long term plan will include other, larger systems from the Company's Red Bird product line (www.cardinalres.com/red-bird/overview). This first system was a cash transaction and the revenue from this first system sale has been booked in the third calendar quarter. The information set forth herein should be read in light of such risks. You are urged to consider these factors carefully in evaluating the forward-looking statements herein and are cautioned not to place undue reliance on such forward-looking statements, which are qualified in their entirety by this cautionary statement. The forward-looking statements made herein speak only as of the date of this presentation and the Company undertakes no duty to update any forward-looking statement to conform the statement to actual results or changes in the Company's expectations.